Okan in Brixton Village is a popular street food join. 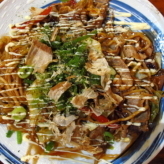 It Brings you Japensese Street Food in this small but buzzing environment. 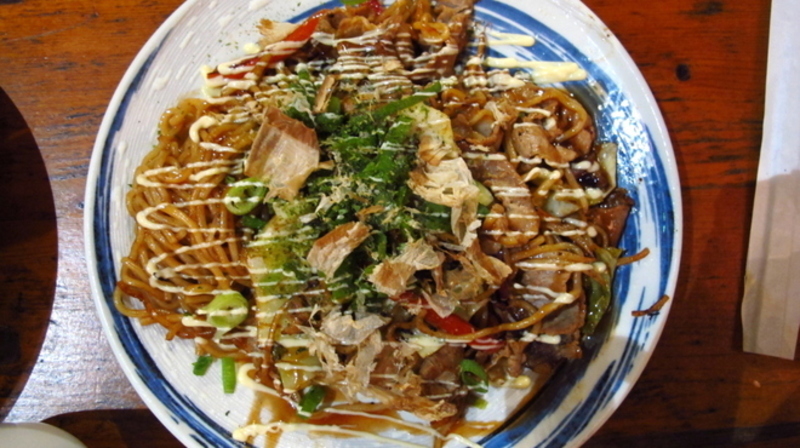 Okonomiyaki is the most popular and famous streetfood dish from Japan’s second largest city, Osaka. Osaka is an industrial city famous for its unique and vibrant culture, its sense of humour and food that is cheap and tasty; it is known as the “Kitchen of Japan”. carte selection of classic Japanese ‘home cooking’.As it’s cooked it goes through various stages of frying, layering and re-frying over just eight minutes. You choose meat, fish and vegetarian toppings which are added to your mix.